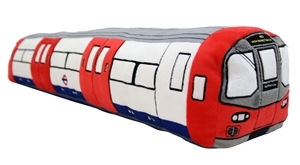 A super-soft, plush cushion of a train carriage. The London Underground is the oldest metro system in the world dating back to 1863. Also know as ‘the Tube’, it’s the quickest way to get around London transporting over 2.5 million passengers every day.